“Chintámani Retreat Centre, in Yautepec, Mexico, has now a new stupa. Two years after having been born, Chintámani is now up and running, housing retreats for our sangha (as well as for other groups) since October 2007. “On the 9th of January, in the context of a women GFR retreat, Paramachitta, who is in charge of the women’s Ordination process in Mexico, conducted a moving ritual in which the stupa was dedicated to the Three Jewels. “The symbolism behind the simple structure of a stupa is incredibly rich. Originally regarded as burial mounds, stupas became the first architectonic representations of the Buddha’s body sitting in the meditation. The base of the stupa represents the throne, his crossed legs the first step, his body the cubic structure in the middle, while his eyes are at the base of the cone over which rests the crown. A stupa also represents the correspondence between the five elements and the five spiritual qualities of the awakened mind. 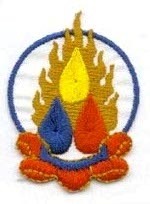 The cubic structure at the base represents the earth element, which symbolizes equanimity; the semi-sphere represents the element water which stands for the mirror-like wisdom; the cone represents the element fire which refers to compassion; above the cone lies a half moon representing the element air which symbolizes accomplished actions; and the little flame above the half moon is the element consciousness, which stands for the wisdom that sees Reality. In this way, the stupa is a tridimensional mandala. “The inside of the stupa is still frequently used as “reliquary”. Its opening represents the Buddha’s heart, an open heart. Inside the Chintámani stupa we placed a beautiful Shakyamuni rupa, hand-made by our friend Juan Antonio. In addition, each of the women attending the retreat laid their offerings. During the dedication ceremony, we also placed a flower, a vajra, and a candle near the stupa’s door, to symbolize the surrounding lotuses, vajras and flames protecting mandalas referred to in our dedication ceremony. Paramachitta invoked the Buddhas in the four directions and ended the ritual chanting the traditional blessings. “It is said that a stupa has the power to remove obstacles, promote peace and harmonize with the environment, which is why they were known as sacred mountains. From a Buddhist perspective, such sacred sites are not places to escape the world, but to enter it more deeply. The qualities they embody reveal the interconnectedness of all life and deepen awareness of hidden regions of mind and spirit. It was with this purpose in mind that the stupa at Chintámani was designed and constructed. 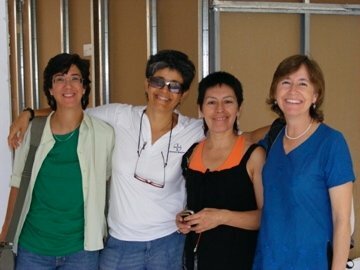 “Chintámani is run by Saddhajoti and Gisela, who started the project more than six years ago. At first it seemed a remote idea, but little by little the project took form and, with the generous participation of many members of our sangha, it has become a dream come true. “It was recently the setting for the private ordination of Padmabandhu, and has housed several GFR retreats and Order weekends. We hope that Chintámani will keep on growing while offering people a quiet, relatively secluded, and inspiring spot in which to deepen their meditation and Dharma practice, as well as functioning as a context for sangha building. “Thus, we hope that the blessing and dedication of the new stupa will help all who visit it to awaken within themselves its qualities and energies, which ultimately lie within our minds, and to discover the inner realms within which our own deepest nature lies hidden. “Haiti needs help. And Karuna Mexico, along with other Mexican Buddhist Centres, are responding. 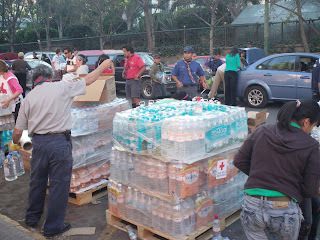 “After a quick appeal by Karuna Mexico a lot of people delivered all sort of goods to them: bottled water, medicines and foods. “Two days later, the Mexico City Buddhist Centre van went twice fully loaded to the Cruz Roja (the Red Cross) to deliver what they had collected. The MCBC van had to queue for 15 minutes before it could enter the plaza where donations were being received. There we found hundreds of volunteers, from all quarters, hard at work. When the van arrived it was surrounded by 5 Boy Scouts who took no longer than 7 minutes to unload the van carefully and effectively. After we were gone our space was taken by yet a different car delivering. “At the moment we are in the second phase of the appeal gathering more things. The boxes at the reception of our Buddhist centres are quickly filling up again. “In this moment there is no difference between people, nations, or anything. Here is where we experience the true meaning of "Karuna": a force that drives us to help without expecting anything in return. “That is why the people of Mexico in general, and the Buddhists at our Centres, are creating support networks to reach as soon as possible the people of Haiti and to ease the suffering and problems that have arisen. “This assistance has been channelled to the Cruz Roja from Mexico who are in charge of sending the appeals to Haiti. The Collection at the Buddhist centres will continue a few weeks, We hope residents in Haiti will get better. except by the reformation of the mind of man... and the mind of the world. Dr. B. R.
Beyond ourselves, on the frontiers of being and becoming, a more living life claims us. 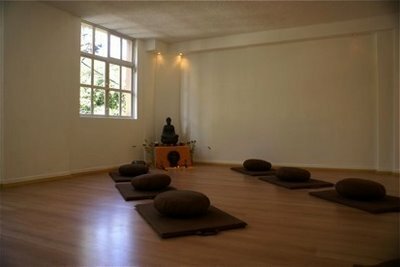 A few months ago, a number of us, members of the Western Buddhist Order based in Mexico City, started meeting on a weekly basis in order to explore the possibility of opening a new FWBO centre in Mexico City, an idea put forward first by Dharmacari Mokshananda and by other friends in the Order. Later, in August 2008, Urgyen Sangharakshita suggested to Jnanadakini that a new FWBO Centre in the south side of the City would be ideal given the context and developments in Mexico. For that purpose we formed the collective Buda Mandala, which at present includes Dharmacari Kavindu and Dharmacarinis Jnanadakini, Saddhajoti and Akasavajri. Why opening a new FWBO centre in Mexico City? Some facts. Mexico City is the capital city of Mexico It is the most important economic, industrial, and cultural center in the country; the most populous city with over 8,836,045 inhabitants in 2008. Greater Mexico City (Zona Metropolitana del Valle de Mexico) has a population exceeding 22 million people, making it the second largest metropolitan area in the western hemisphere and the third largest in the world by population according to the United Nations. The majority (90.5%) of the residents in Mexico City are Roman Catholic, a higher figure than the national percentage, even though it has decreased over the last decades. However, many other religions and philosophies are also practiced in the city: there are many different types of Protestant groups, different types of Jewish communities, Buddhist and other philosophical groups, as well as atheism. Buddhism in Mexico possesses a minuscule demographic presence. Approximately, only 108,701 Buddhists are counted in the whole of Mexico. Up until now, Mexico City (and the whole country) has counted with one FWBO Centre, which is located in the Colonia Roma. La Roma (as it is also known) is a neighborhood in the central borough of Cuauhtemoc in Mexico City. Undoubtedly, the Mexico City Buddhist Centre under the chairmanship of Dharmacari Upekshamati has made a significant contribution to spreading not only the Dharma but also Bhante's vision in Mexico for the last fourteen years. The Centre's beautiful venue is visited by hundreds of people every week attracted by the varied program of Buddhism and Meditation that it offers. However, the interest in the Buddhadharma and the FWBO approach is growing and the city is big enough to house not one or two but even more centres! Buda Mandala, the new FWBO centre will be located right in the heart of Coyoacn. Coyoacn is one of the 16 boroughs into which Mexico's Federal District is divided. The name Coyoacn also is commonly used to refer to the neighborhood at the heart of the borough, and it comes from the Nahutl Coyohuacan meaning, "place where there are coyotes". 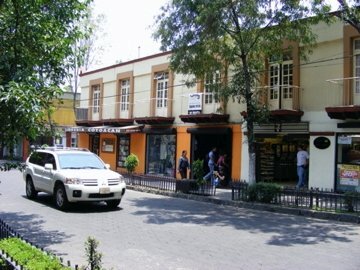 Although geographically located in the center of the city, Coyoacn has long been considered to be at the southern end of Mexico City. For a few decades now, Coyoacn has been visited by alternative groups of people like bohemians, street musicians, writers, philosophers, etc. who were in search of relaxed and non-mainstream social places to gather, so they began having an important presence in Coyoacn. These social groups eventually gave the place its distinctive cultural and artistic atmosphere. Needless to say, Coyoacn is nowadays one of the preferred and most visited places in the city. The Buda Mandala collective believes that, it is precisely its non-mainstream, relaxed, cultural and artistic atmosphere what makes Coyoacn a suitable place for spreading the Buddhadharma through an FWBO Buddhist Centre. 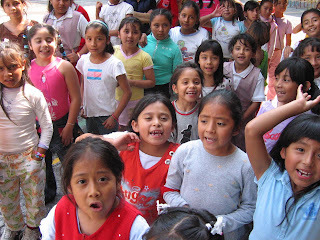 Indeed, the first FWBO centre in Mexico City, the one that is now in La Roma, had its first venue in Coyoacn where it proved to be a success. At present, Yoga Espacio, the yoga, meditation and healing centre opened in 2007 by a collective led by Jnanadakini and Kavindu is also located in Coyoacn. Yoga Espacio offers a modest program on Buddhism and Meditation led by Kavindu and supported by Chandramsu and Vimuktin. Buda Mandala may be a natural place to channel people from Yoga Espacio that wish to get more involved with the movement in a Buddhist venue that offers the whole range of activities of a FWBO centre. The Mexico City Buddhist Centre has also some presence in Coyoacn on Sundays introducing Buddhism and Meditation. Our vision is of a World in which every human being can fulfill their full potential, in order to contribute in a positive manner to the building of a peaceful society, which protects other sentient beings and the Earth. Our mission is to communicate the teachings of the Buddha, as taught by Urgyen Sangharakshita, the founder of the Western Buddhist Order, in a way that is relevant to different social groups in Mexico and Latin America. We recognise that aiming to do this requires a balance between honouring our understanding of the Order and Movement's central practices and teachings, and an inspired and imaginative way of presenting them. • Our commitment to honour the Four Vows taken during our Ordination. • spiritual growth and development. • The importance of broad-based effort, which translates as the importance of Sangha. • awareness, loving kindness, compassion, mutual rejoicing and equanimity. • Openness, receptivity, respect and tolerance for the global community. • Communication that is truthful, kind and harmonious. • contribute to the preservation and renewal of the natural environment. • Deep commitment to learning and teaching. We offer the fruits of our work to the benefit of all sentient beings. And now am one of [the] Buddha's Sons (and Daughters). Must be in accord with the family. This noble and unsullied race. Sunday June 28th at 5pm Mexican time sees the opening of a new Buddhist Centre in Mexico City, with activities starting properly on 30/6. Five Order Members (four women and a man) have teamed up to create the very beautiful 'Buda Mandala' space in the central and beautiful Coyoacán district of the city.
" Buda Mandala is a group formed by members of the Western Buddhist Order. It is dedicated to the teaching of Buddhism and meditation in an appropriate way for our Mexican contemporary surroundings. "Our vision is one of a world where human beings can peacefully coexist in a network of contribution and protection that reaches to all living beings and the Earth, a network in which each honors its limitless potential of wisdom and unconditional love. "Our mission is to make of our vision a reality, transmitting the lessons and practices of the Buddha-Dharma in an appropriate way to our context in Mexico, Latin America and the world, honoring the lessons of the Buddha and the vision of the founder of our Order, Urgyen Sangharakshita". The address is Francisco Ortega 27, Altos (in center of Coyoacán), tel (04455) 2510-4153. The FWBO's main centre in Mexico City continues: full details at http://www.budismo.org.mx/. The ninth instalment of Rijumati’s round-the-world travels are posted today on FWBO Features, covering portions of his time in America and Mexico. There’s love, big road trips, vivid portraits of the total inadequacy experienced by a carless traveller in America, visa problems, cheap and soulless Texas motels, the wonder of Mexican art and civilisation, the kindness of strangers, and far more. Click to read more… You’ll find them at Rijumati_travels_IX_america_mexico . Parts 1-8 cover his travels from the UK – which he left just over a year ago – by sea to Sri Lanka, to India, Nepal, Russia, Central Asia, Japan, and more. Also available on FWBO Features. 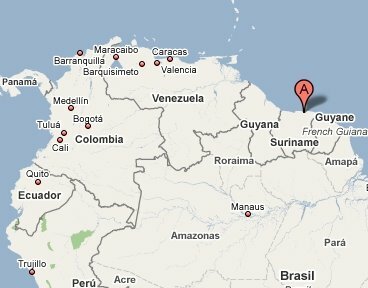 First steps for the FWBO in Suriname? “Roy Jap-Sam, a Mitra in the Dutch Sangha (Amsterdam) since 2003, will be in Surinam (South America) in the month of November. When there, he will be having a meeting with a group of Chinese Buddhists and others interested in Buddhism with the view of introducing them to the FWBO. “Rita, Roy’s sister, who lives in Surinam and has recently been on her first FWBO retreat in Holland, will be doing the organising. Apart from the hope that this will be the beginning of FWBO activities in Surinam Roy will also be able to tell them about FWBO Centres in countries near Surinam, like Venezuela, Mexico, and Brasil. On Sunday 6th July Rafael Dominguez had his Public Ordination at the FWBO's Mexico City Buddhist Centre. He became PADMABANDHU, meaning 'lotus friend' or 'lotus brother'. His private and public preceptor is Moksananda.